Dr. Patrick Harpole, MD – Doing the common things, uncommonly well. Doing the common things, uncommonly well. B. Patrick Harpole, MD, is a member of John Muir Medical Center’s staff since 1976. 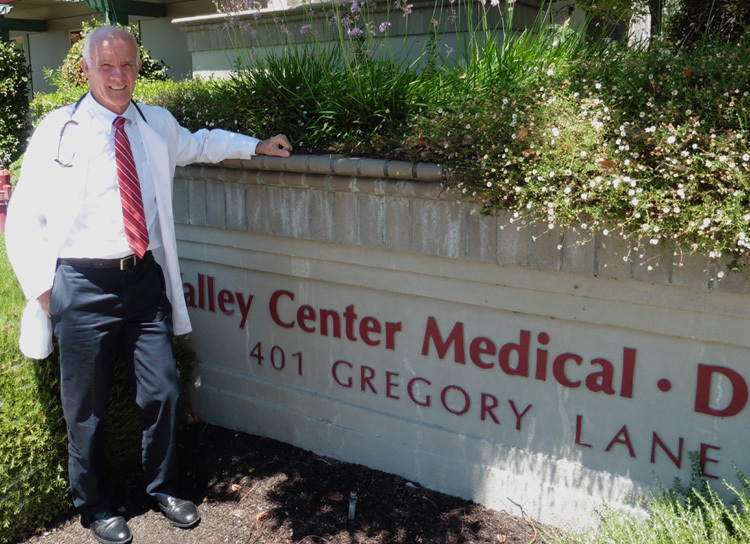 Dr. Harpole is also on the active staff at John Muir Hospital Concord Campus (formerly Mount Diablo Hospital) for over 30 years and San Ramon Regional Hospital for over 10 years. After completing a surgical externship at Saint Elizabeth’s Hospital in Brighton, Massachusetts (which is affiliated with Boston University Medical School), he graduated from University of Oregon Health Sciences Medical School in Portland, Oregon. Upon successful completion of internship at Saint Vincent’s Hospital in New York City, Doctor Harpole graduated from an intensive course in aerospace medicine at Brooks Air Force Base in San Antonio, Texas. He then served as a Flight Surgeon at Griffiss Air Force Base in Rome, New York. Doctor Harpole has been Chairman of Family Practice at John Muir Medical Center. Doctor Harpole served as peer review board for Mount Diablo Hospital and for the California Board of Medical Examiners. He has been a member of the Alameda-Contra Costa Medical Association and the Society of Bariatric Physicians (specialists who treat the overweight condition).